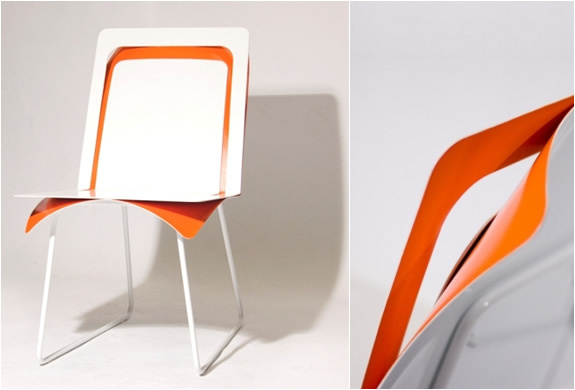 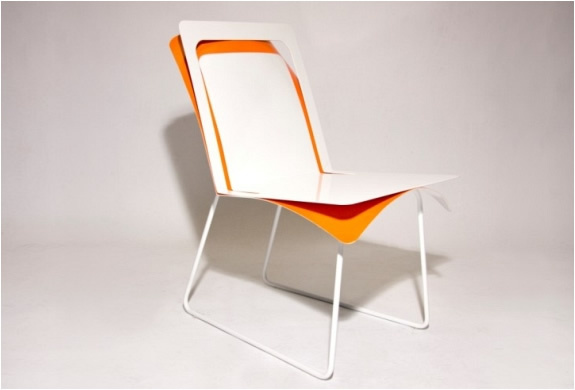 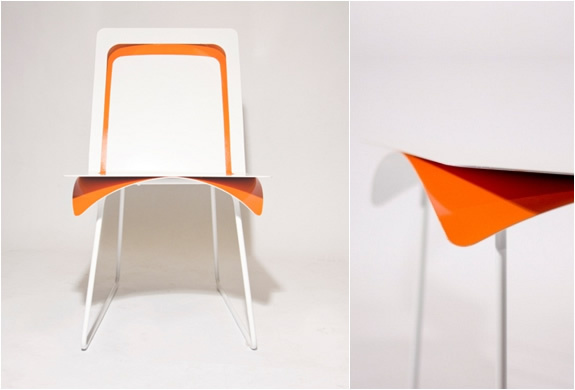 This is a concept chair by Nancy Chu, an industrial design student at the University of Cincinnati. 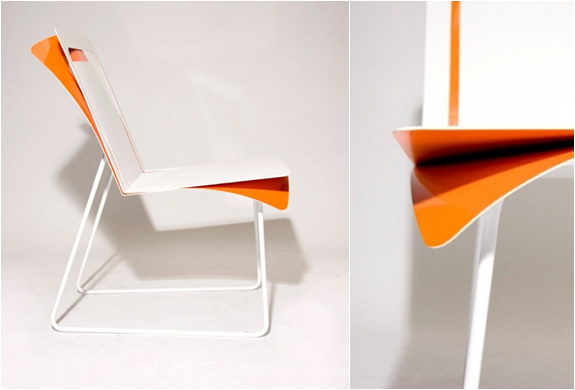 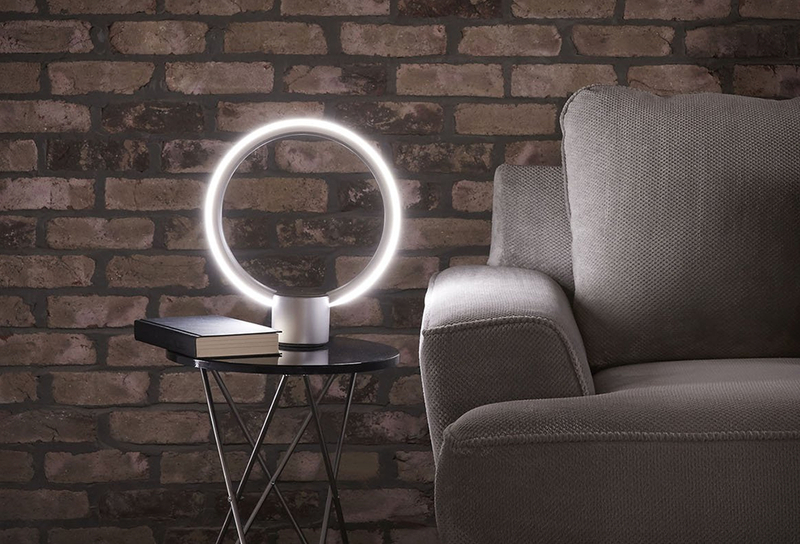 The chair catches the eye with it´s interesting shape. 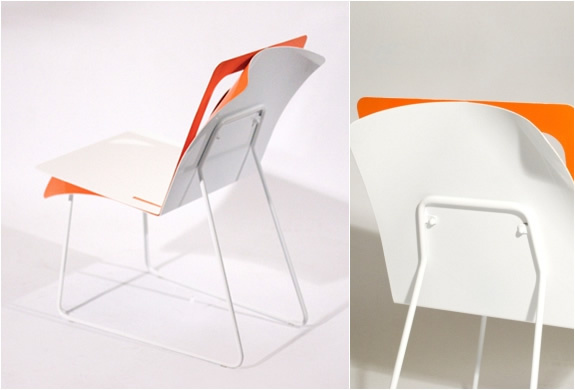 With a very minimal design the chair consists of two metal sheets peeling away from each other, revealing an unexpected pop of color that pulls in the eye.